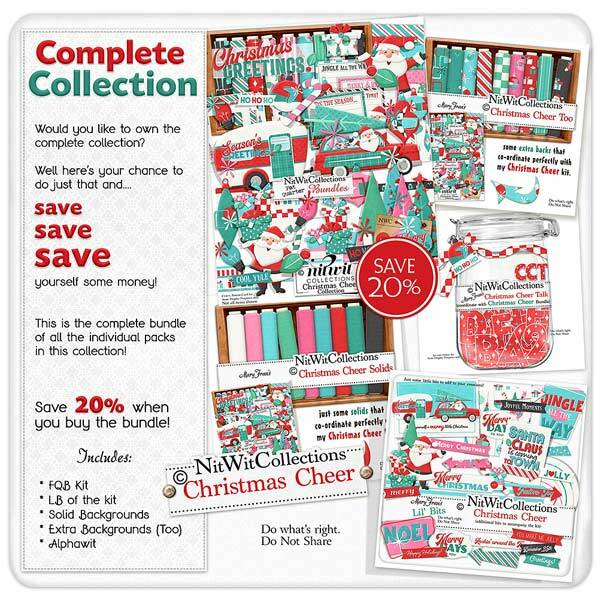 "Christmas Cheer" Collection ushers in a nostalgic Christmas kit that you will love creating with and will also warm your heart with your own memories of Christmases past. The flood of memories that this kit evokes will surely get your creative juices flowing! Who remembers driving home from picking out the perfect Christmas tree with it tied to the top of the family station wagon. How about the sweet minty taste of the candy cane treats or the twinkle of Christmas lights everywhere. You will find all of this and more in this nostalgic Christmas kit honouring the Christmases from the 50's.